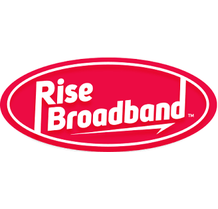 Rise Broadband is the nation’s largest fixed wireless Internet service provider; offering affordable high-speed broadband (Internet and phone) services in 16 states with speeds ranging between 3 Mbps and 1 Gbps. Established in 2005 as JAB Wireless, Inc., Rise serves nearly 200,000 residential /commercial accounts in rural and suburban areas throughout the Midwest, Rocky Mountain and Southwest regions. Rise is headquartered in metro Denver.